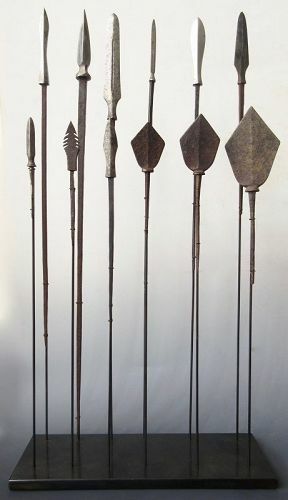 A collection of twelve samurai arrows, or yajiri, mounted on a custom built museum display stand. 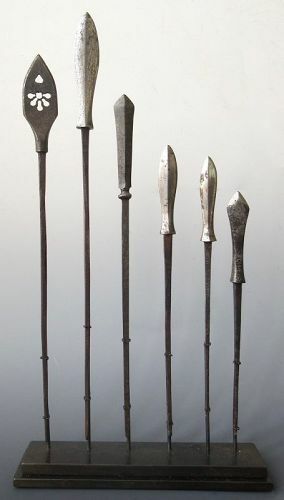 A collection of samurai arrows, or yajiri, mounted on a custom built museum display stand. 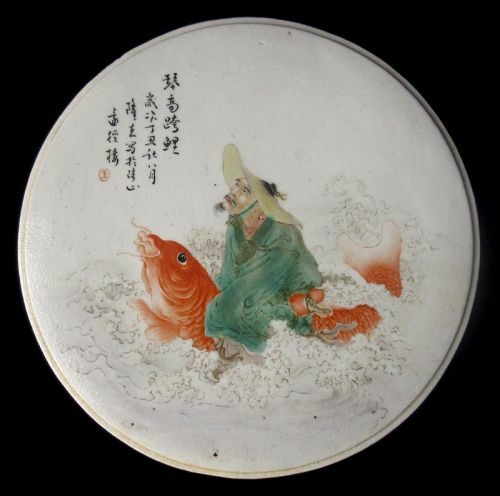 Chinese circular porcelain plaque with enamel scene of Qingao in a green robe mounted on a carp. With calligraphy and red chop. Titled "Qingao kea li". 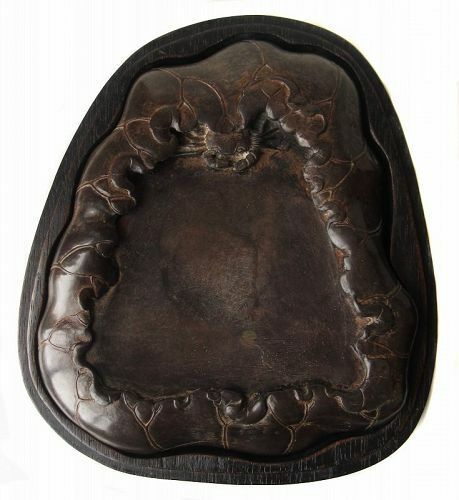 The face of the plaque is on a step pedestal with a bare, textured backside. 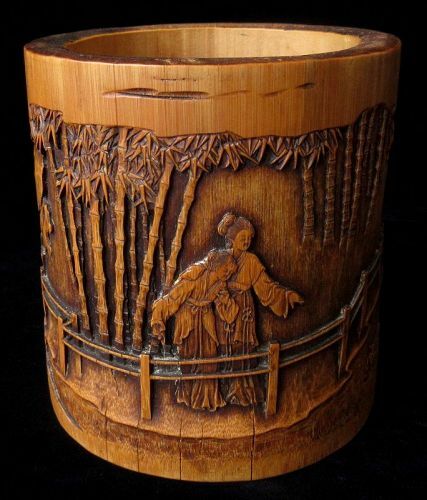 Chinese hand-carved brush pot made from bamboo, with detailed scenes of maidens viewing a pair of swimming ducks below a bridge, with background of bamboo groves and scholar rock formations. 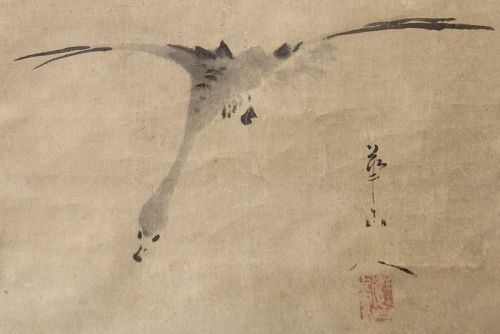 Antique Japanese scroll painting of a flying goose, sumi ink on paper. With calligraphy signature and red chop. 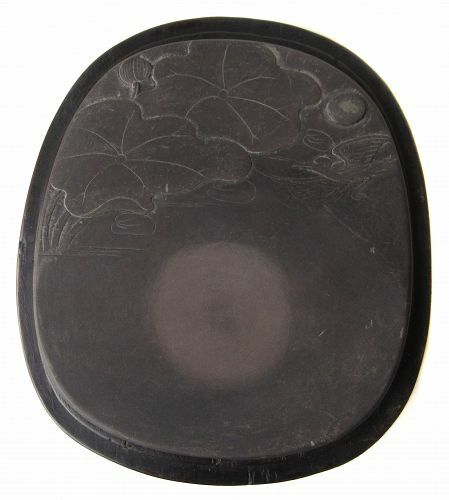 This scroll has the original two tomobako (storage boxes). 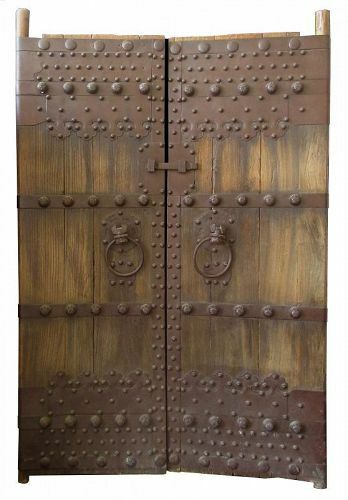 Large pair of Chinese wooden gate doors with hand-forged iron plates and hardware. The pair of doors are opened by iron fu dog heads with large ring pulls in their mouths. 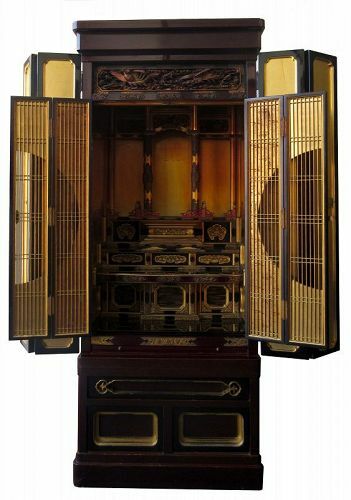 The top and bottom iron plates on the front of each door have foliate edges in lingzhi mushroom motifs, with iron studs and horizontal iron bands. The doors have wooden pegs to be inserted into a door frame.